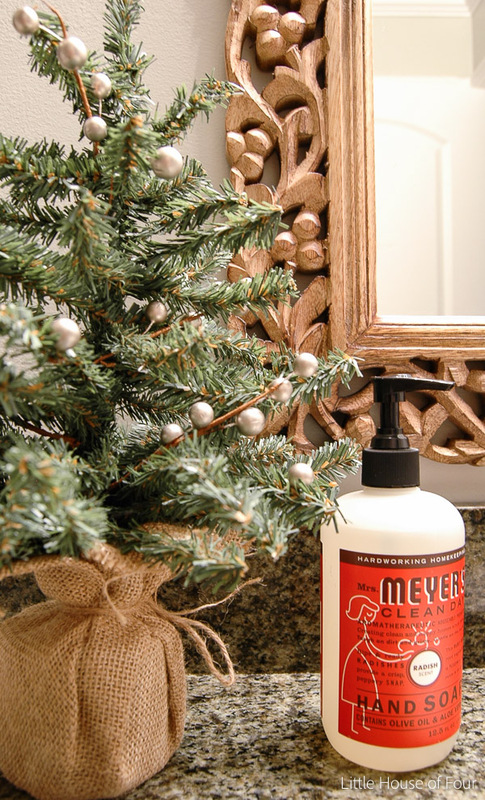 Whether you're ready or not, Christmas is right around the corner. 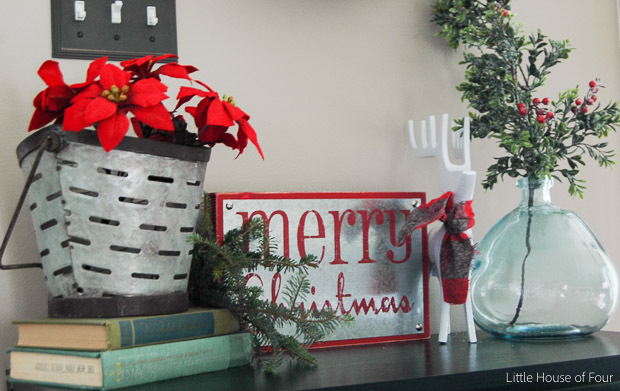 I still have some shopping to do, but at least I FINALLY finished decorating our house, just in time for the Very Merry Christmas home tour. A huge thank you to Carrie from Lovely Etc. 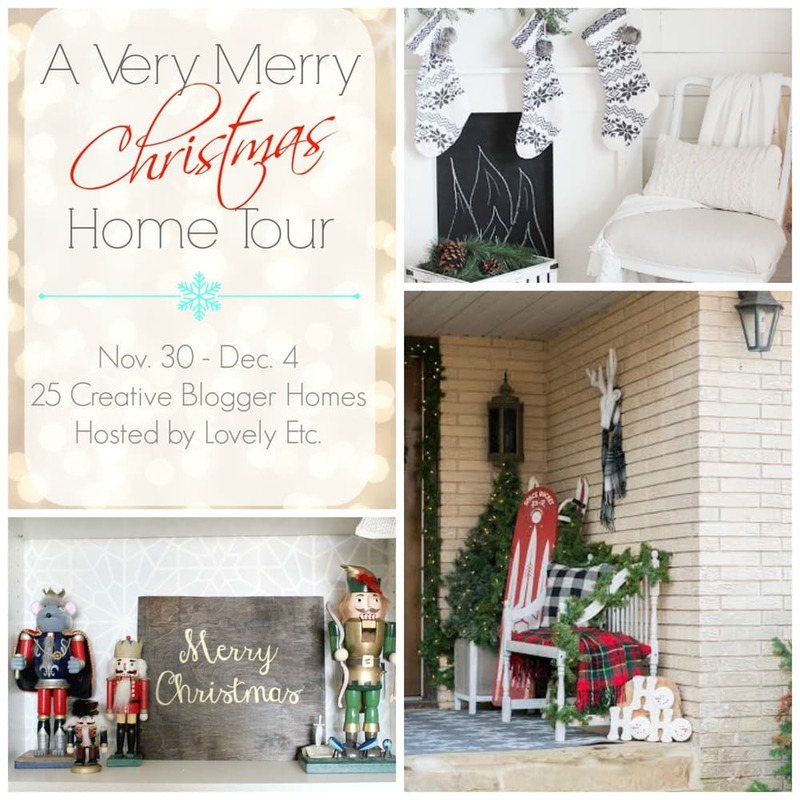 for inviting me to share my home alongside some very talented bloggers. Also, since Christmas is a time for giving, we joined together to offer one lucky reader $500 in Paypal cash! You can find all the details on the giveaway and links to the rest of the tours at the end of the post. 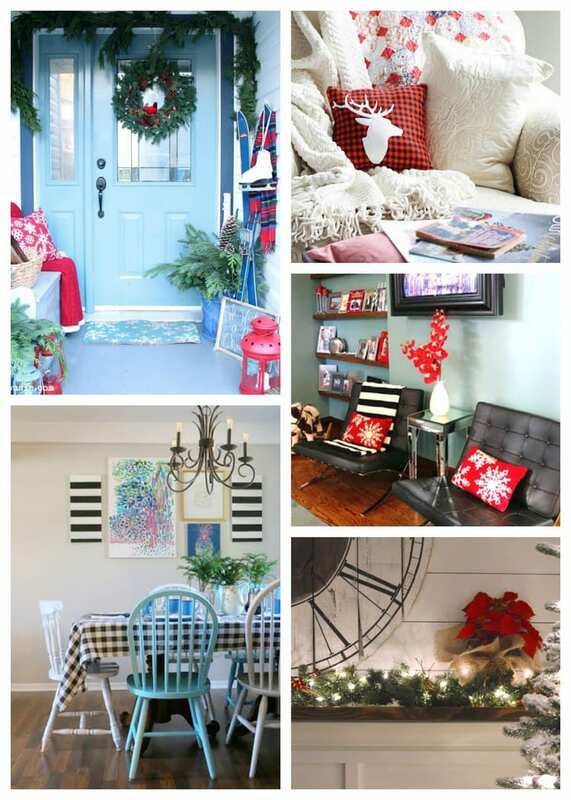 In years past, I decorated my home for Christmas using blues and greens, which matched our everyday decor. 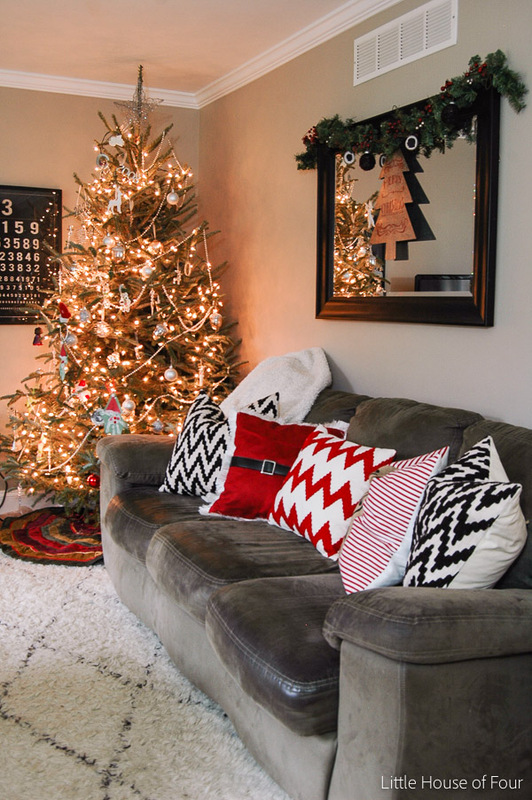 Now that my home is more neutral, I was able to go a bit overboard with the traditional Christmas colors of red and green. 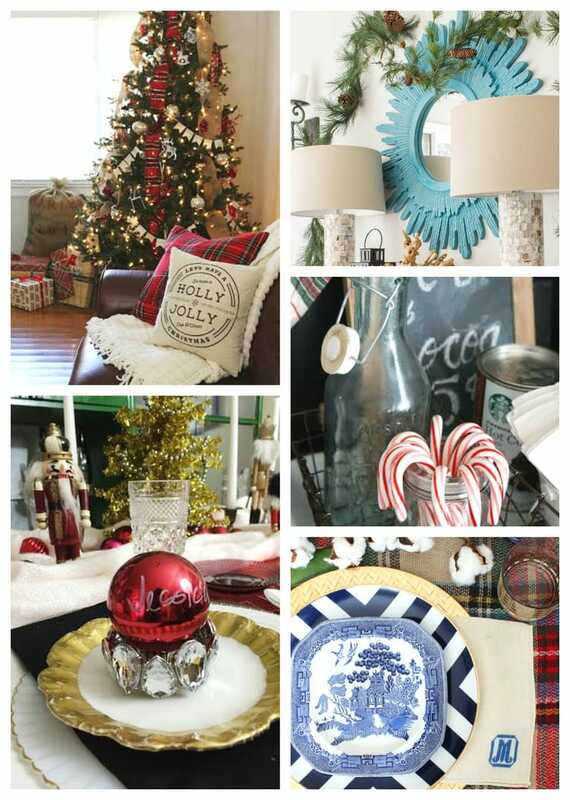 This is the first year I created a Christmas gallery wall and I have to say, I LOVE it! 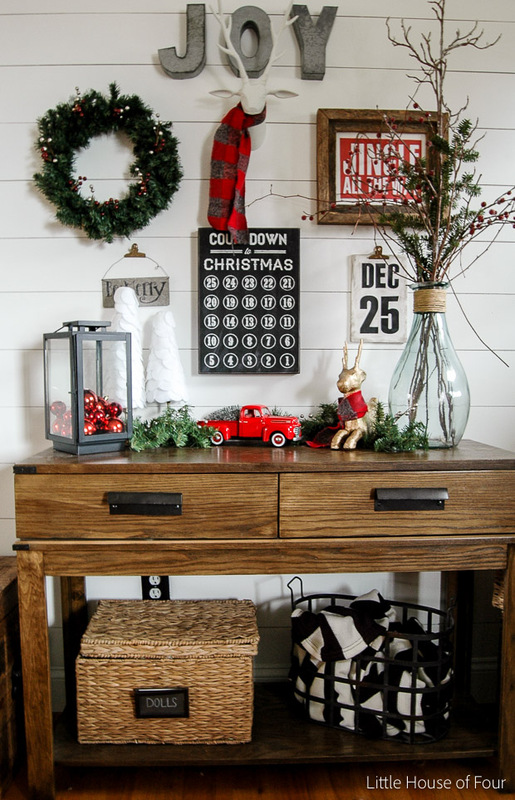 It cost next to nothing to decorate thanks to a free printable, inexpensive flannel, shopping my home and DIY'ing a few projects. We do get a real tree every year, but it's definitely not show stopping. 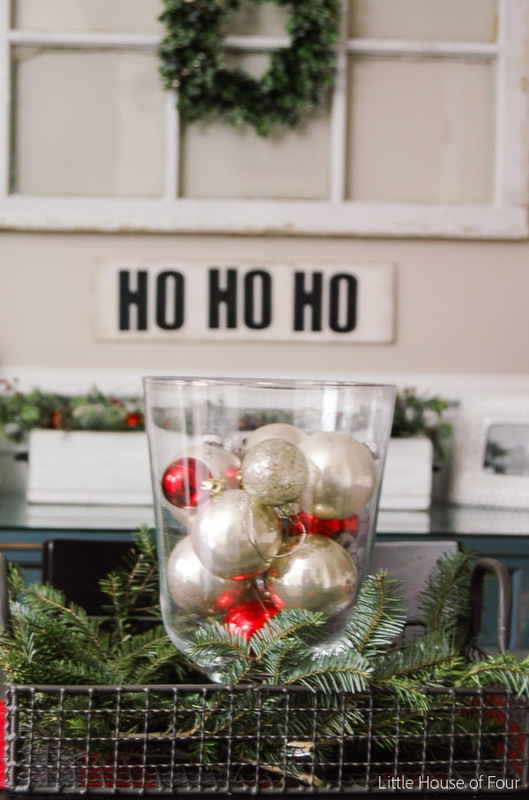 My kids do a lot of the decorating and it's full of many vintage ornaments (from my grandparents) as well as a lot of ornaments handmade by my kids. It's more about the meaning and not as much as the appearance. 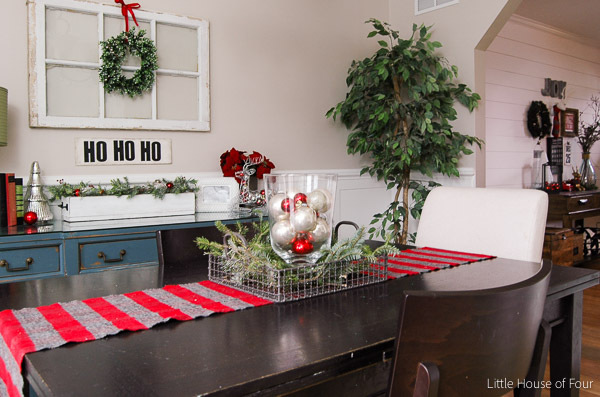 Let's move onto the dining room. 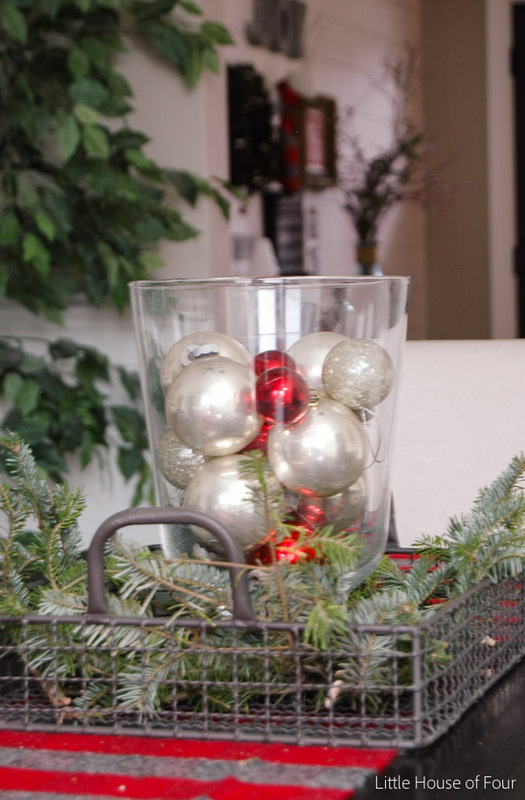 I created a super easy centerpiece using a piece of flannel, greenery from our tree and vintage glass ornaments that were once my grandparents. 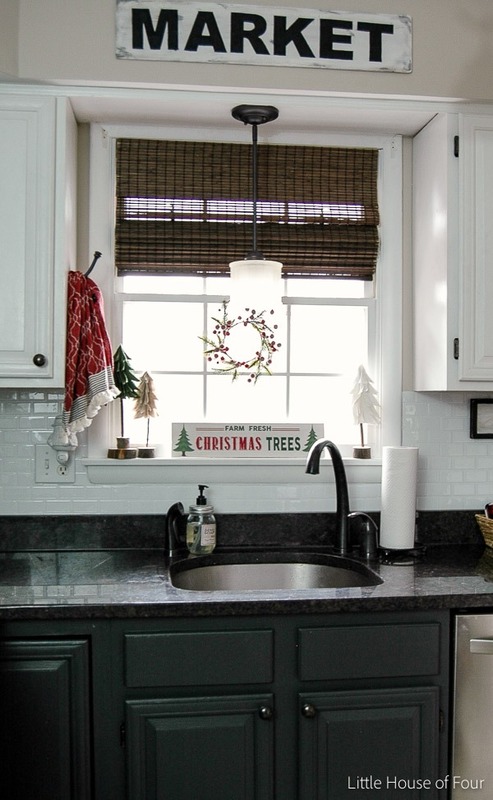 The kitchen is decorated with my DIY felt trees, a super cheap Christmas tree sign (found at HomeGoods) and a simple wreath that I hung from the window. 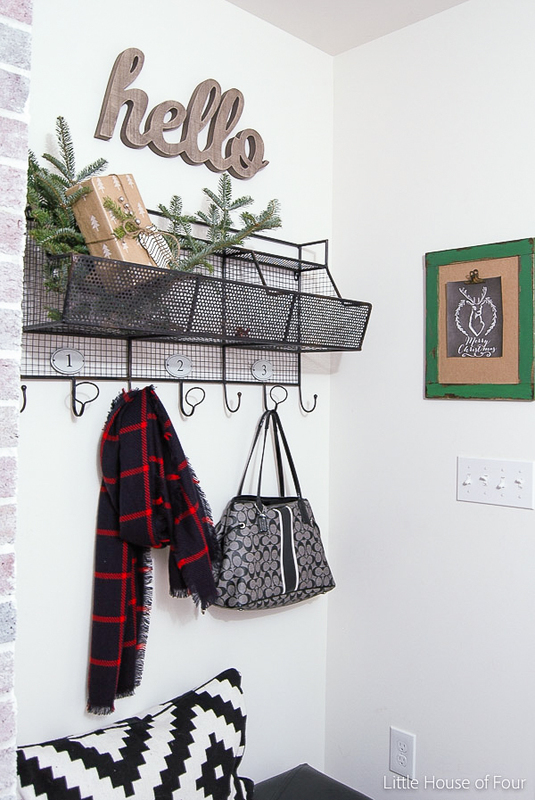 Last, but not least is our mudroom. 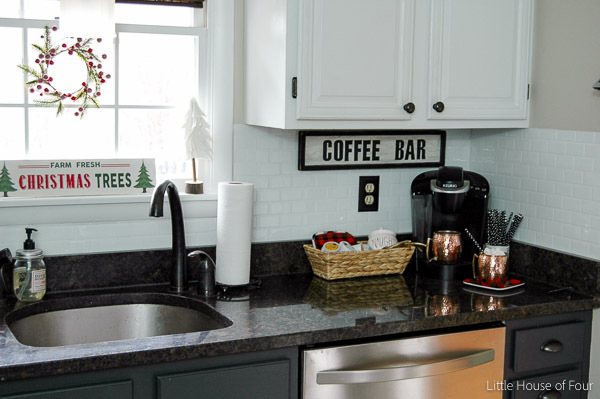 I added more greenery, a wrapped present and a free chalkboard printable to complete this space. 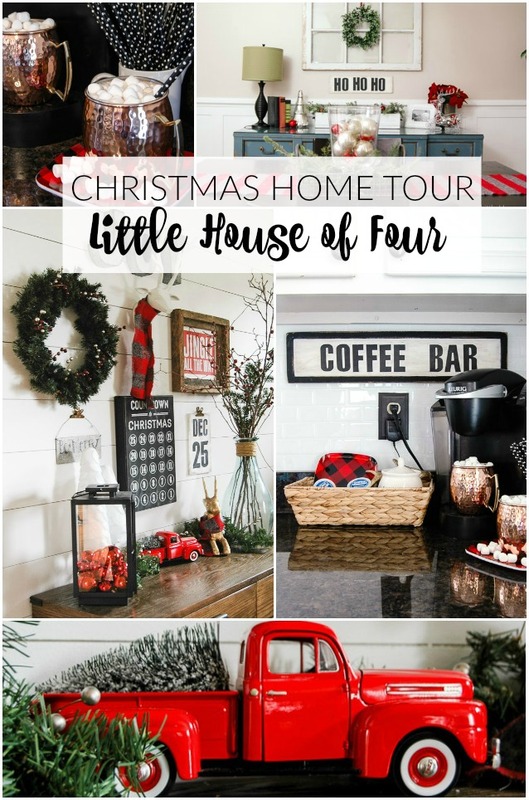 Don't forget to enter the rafflecopter giveaway below and visit the rest of the homes on the tour - there are some amazing homes here! 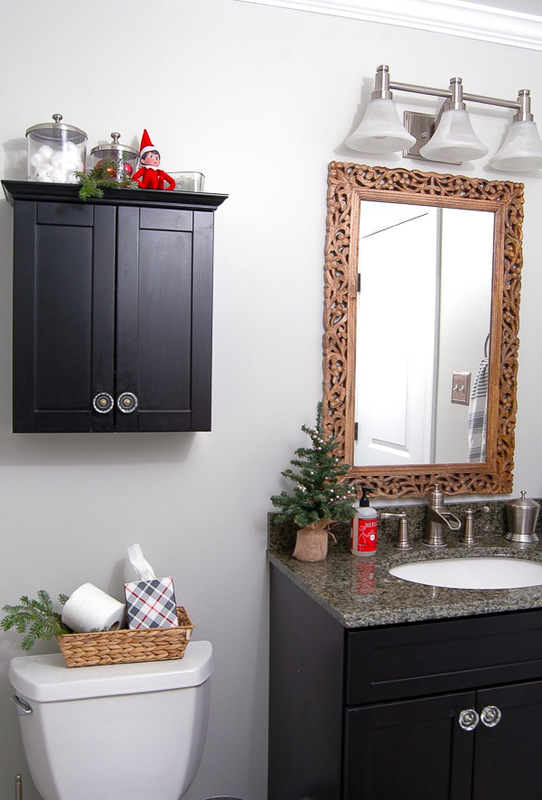 Catch a sneak peak from the photos below and follow the links to see everyone's homes. It is PERFECT!! I love it all!! Love it all! 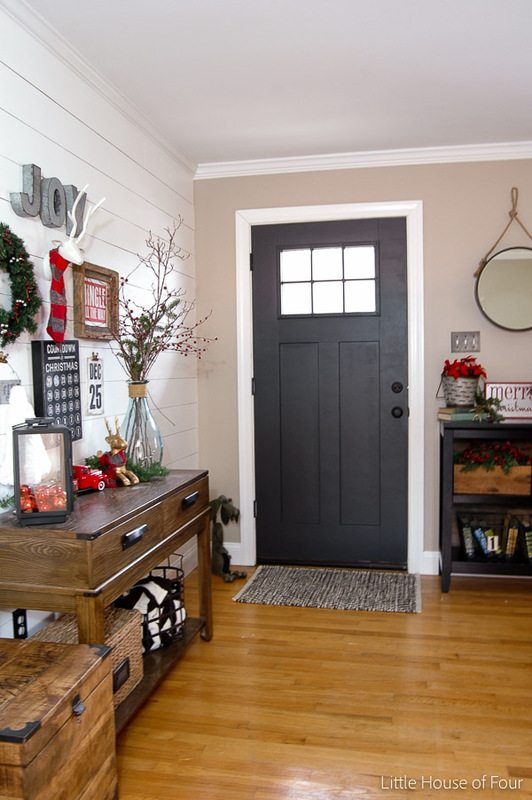 Your house is so festive and cute.... especially the entry! Such a fun, cozy tour. 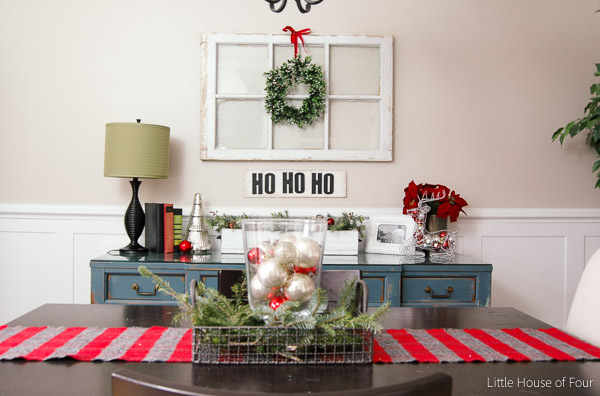 I especially love that Christmas gallery wall - so fun! Thanks so much for joining in the tour! 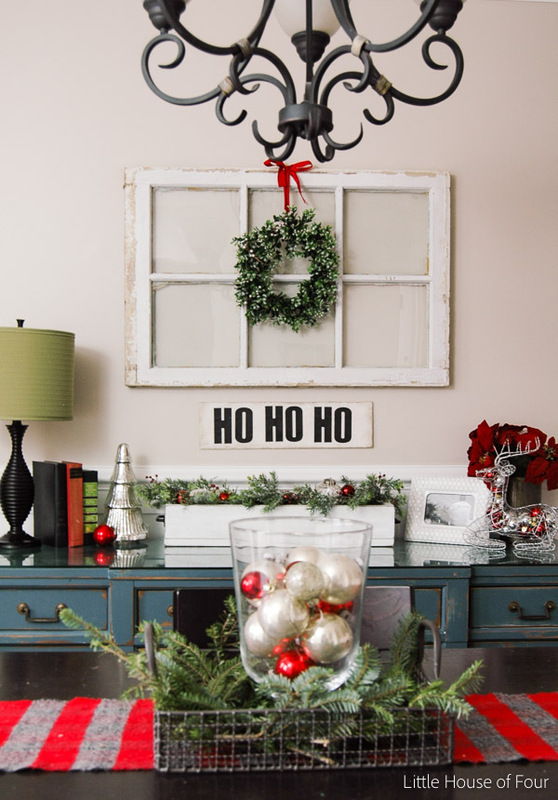 I LOVE it - such a perfect traditional Christmas colour scheme. 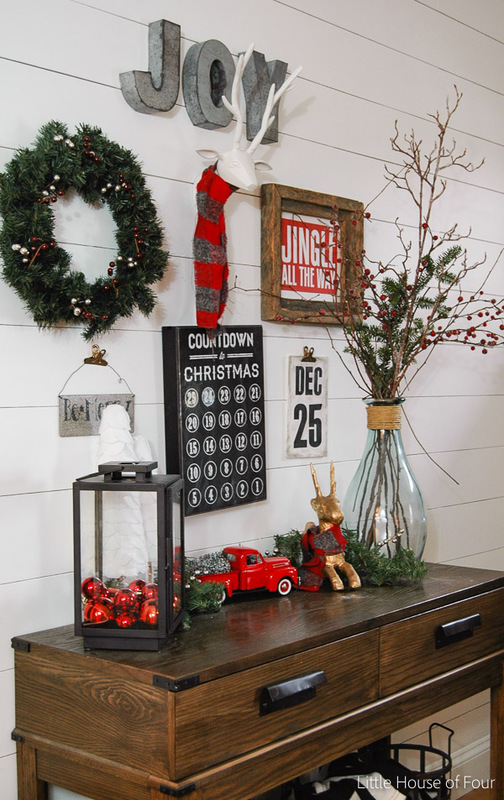 Your Christmas gallery wall is perfect!! Katie, that Christmas gallery wall is the bomb!! Utter perfection! 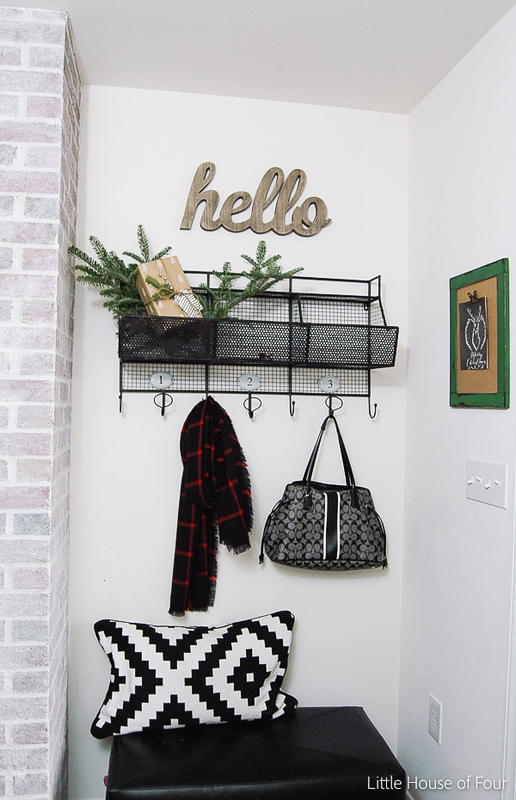 I love your industrial / rustic decorating style. So many beautiful vignettes in this tour. 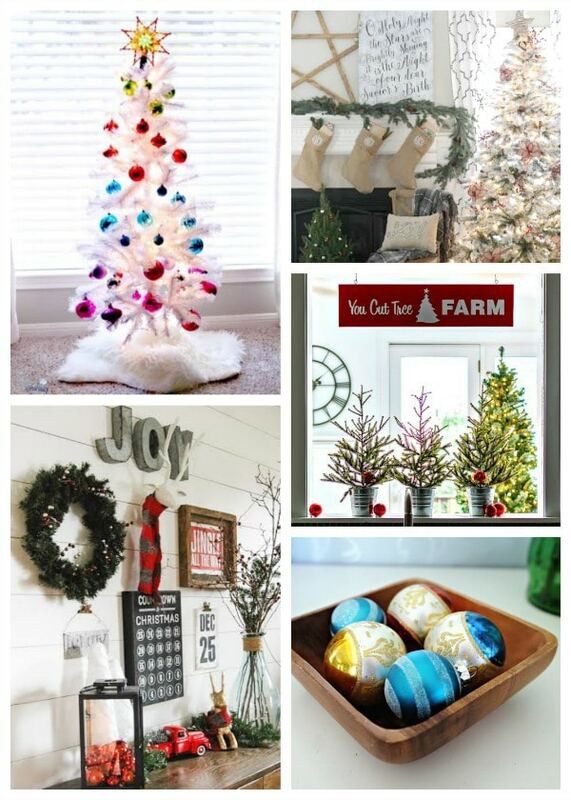 It all looks so clean & festive! 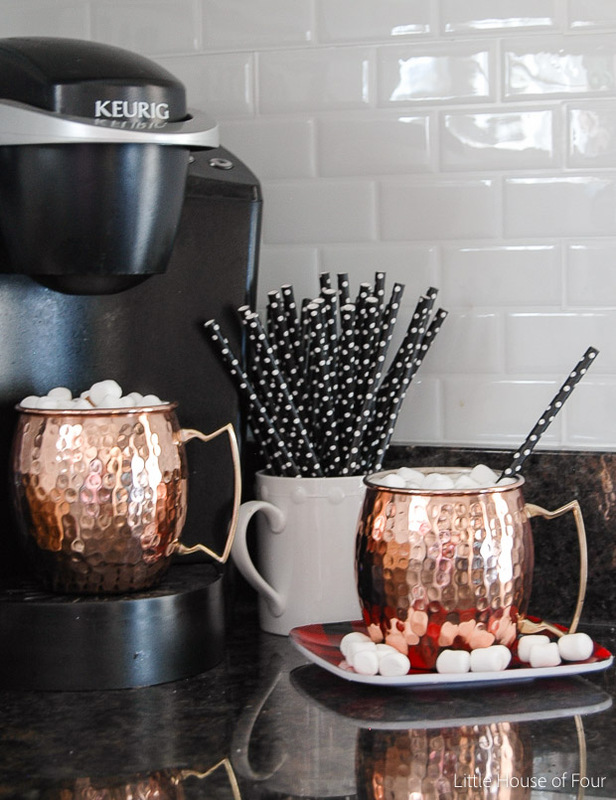 Those cups and straws are so unique....love everything! Oh...I LOVE everything!! 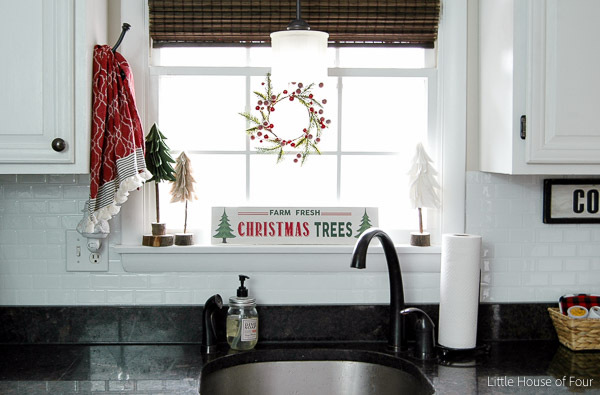 Your entryway is so fun and I love how you added festive touches to the kitchen- I want that hand towel! Hope you have a very Merry Christmas!! 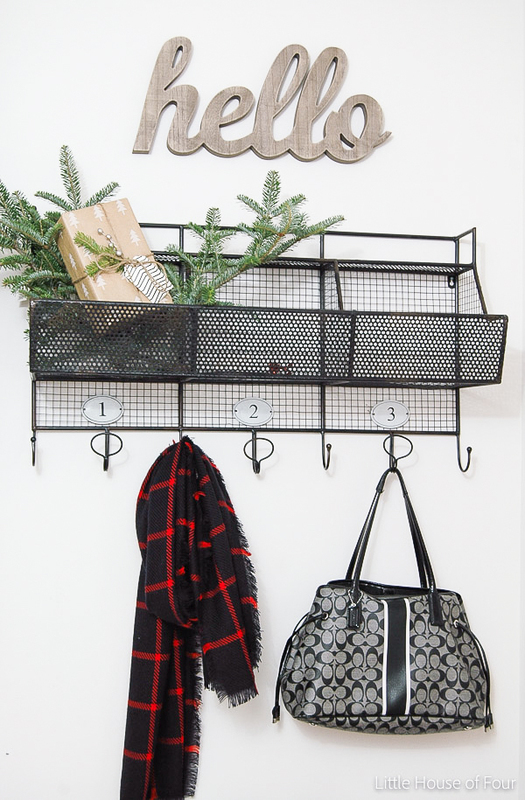 Where can I buy the wire coat rack in your mud room??!! Katie, your house is adorable! 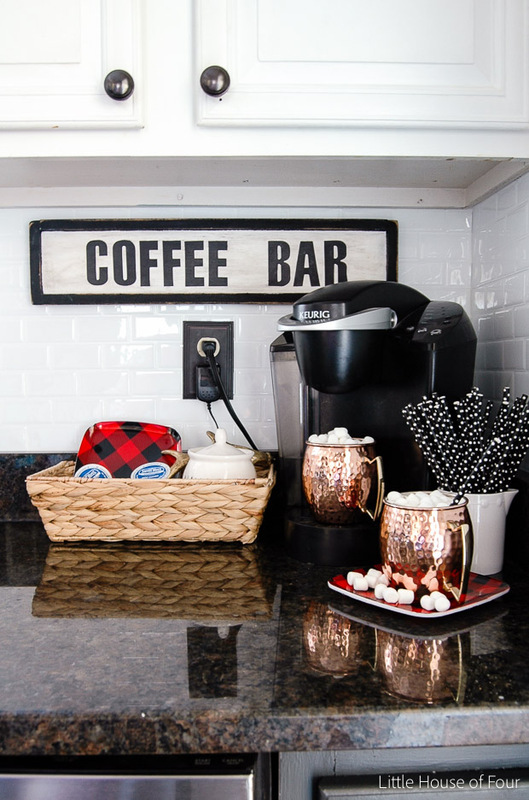 Absolutely love the gallery wall and the coffee bar! 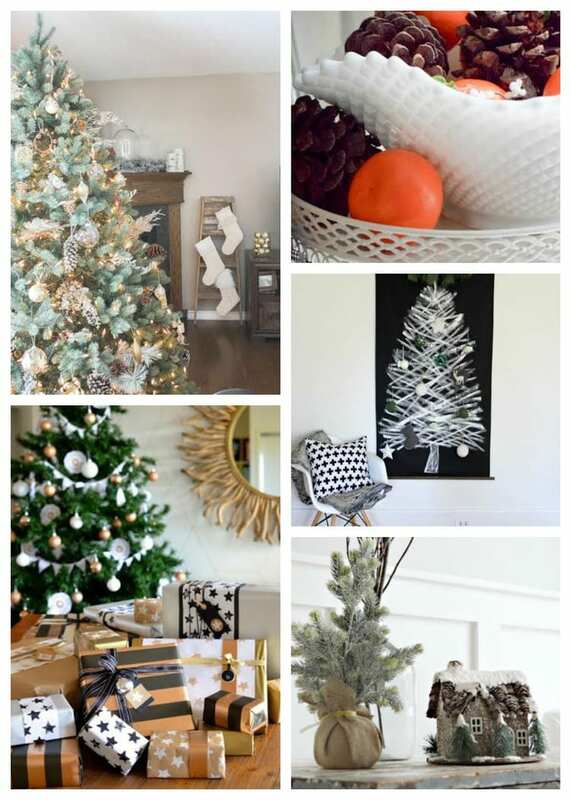 Your house is stunning and I love the concept behind your Christmas tree decor! You've given me the inspiration to get it put up and out! Lol! I'm super happy I found you! 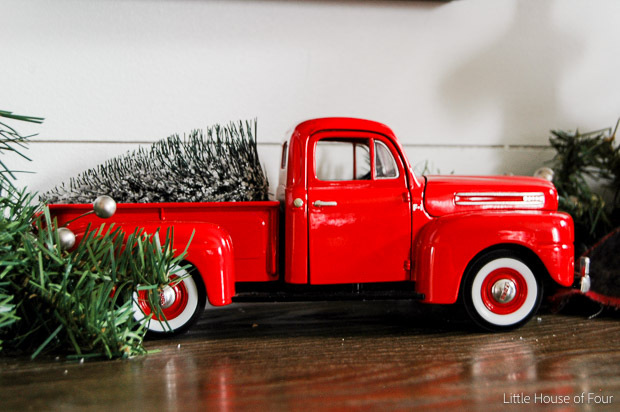 I found you on Pinterest, because I saw the little red truck and I've been looking for one FOREVER! 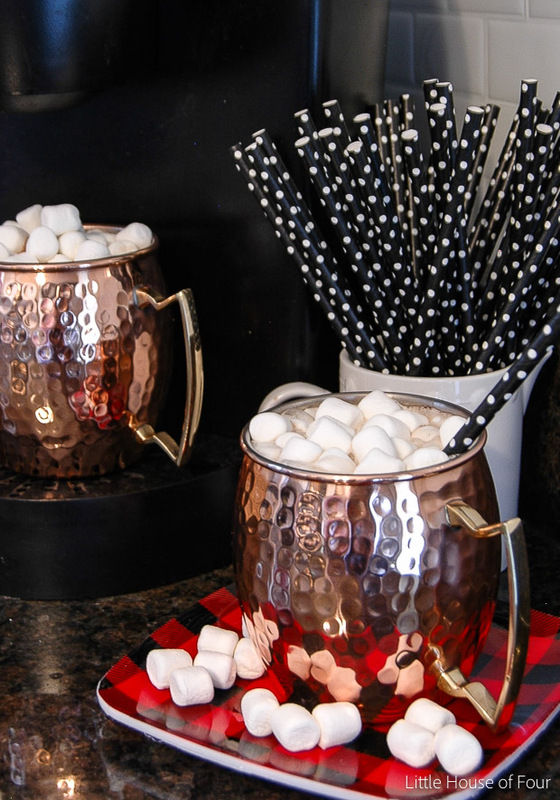 Especially for a party that I'm hosting next week! Thank you so much Stephanie! Pinterest is aware of the problem and is working on getting it resolved. Trust me, it's so frustrating. Thanks for letting me know and I appreciate you sharing! Your home is so gorgeous! 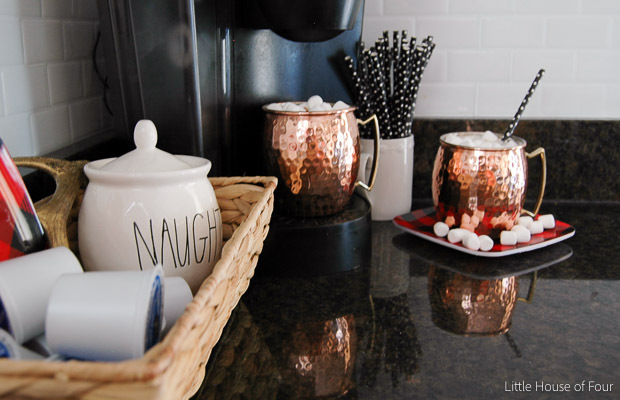 I love all the holiday touches. I tried Pinning some of them but wanted to let you know that Pinterest blocked me from Pinning them saying they were Spam. Thank you Pamela, you are too kind! I've reached out to Pinterest and they said they corrected the issue, but my account is still flagged as spam. Trust me, it's incredibly frustrating! I'm hoping it's resolved today. You know your projects stand out of the herd. There is something special about them. It seems to me all of them are really brilliant! Leon West This article gives the light in which we can observe the reality. This is very nice one and gives indepth information. Thanks for this nice article.